I am a stay-at-home mom and decided to make my own blog and try affiliate program that was referred to me by a trusted blogger friend of mine and now I'm starting to monetize from my own blog. 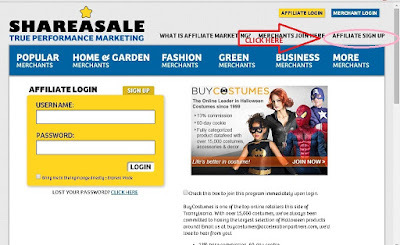 Are you also looking for legit blog affiliate program aside from Adsense? Well, look no more because I will introduced you to shareasale.com affiliate program. The site was founded was back year 2000 and they have been in business for 15 years with good reputation in paying their affiliates. 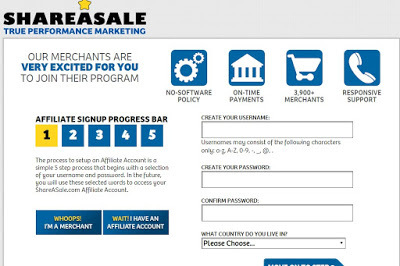 They have more thank 4,000 merchant programs that allow you to gives commission from pay-per-sale, per-lead and per-click on the links or banners placed in your website or blog page. Learn how we can increase your sales, develop your brand, and generate interest in your site. First go to shareasale.com and click on the AFFILIATE SIGN UP at the upper right part of the site. After completing the sign up process, confirmation email will be sent to you. They will review your application as affiliate. It usually takes 24-48 hrs for your blog to be approve. Once you got approve, you can now search for merchants whose products will be promoted by you in your own blog. Don't forget to promote your merchants! Creating blog posts and putting banners of merchants on your blog can lets you earn commissions. You can find all the merchant banners and links with your unique referral code in shareasale.com. Just click LINKS- GET A LINK BANNER- GET LINKS.